AT LEAST THREE suspected poachers who were apparently hunting for rhinos have been mauled to death and eaten by lions on a game reserve in South Africa, the owner said yesterday. “They strayed into a pride of lions – it’s a big pride so they didn’t have too much time,” reserve owner Nick Fox, 60, told AFP. 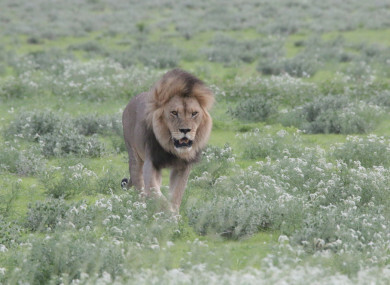 “We went in yesterday – I got our vet to dart [anaesthetise] all the lions,” he said. I think we had a stroke of luck here that the lions got to them before they got to the rhinos. We lost three rhino in March 2016. Email “Three suspected rhino poachers eaten by lions in South Africa”. Feedback on “Three suspected rhino poachers eaten by lions in South Africa”.